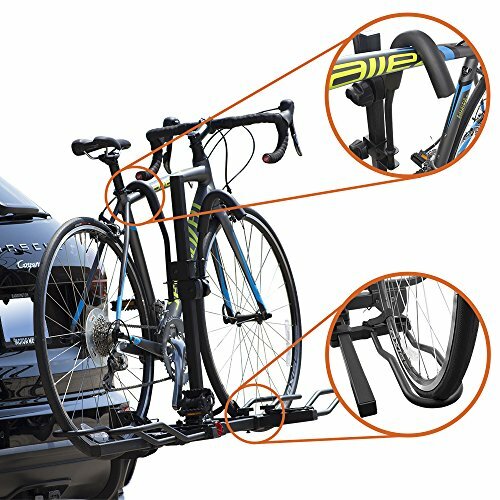 BV 2-bike Carrier Hitch Rack provides the most effortless way to transport your bikes. The tilt backward design enables users to open the rear gates without detaching the hitch rack. Each bike is secured by the three-point connection system – two tray-style arms on the bottom and one vertical arm on top. This keeps the bike from swaying during travel. 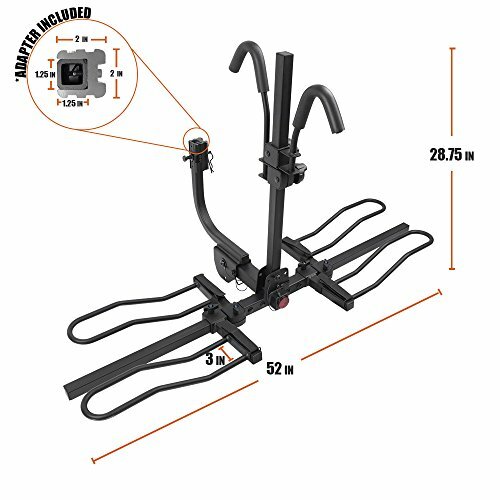 With the BV 2-bike Carrier Hitch Rack, you can carry your bikes everywhere you want! • Tilt Back Design – The tilt backward design enables users to open the rear gates without detaching the hitch rack. • Fold Up Design – User can fold up the rack when not in use. Smart idea to save space! 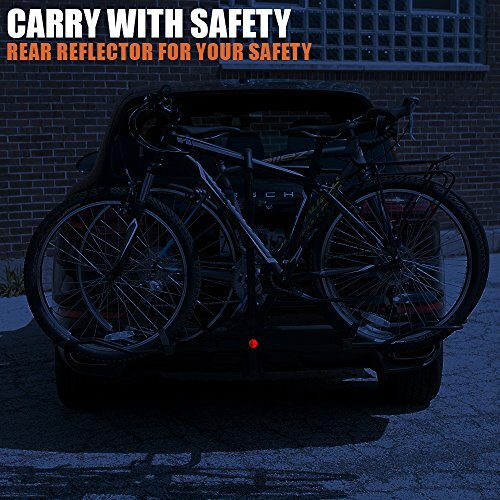 • Safety Reflector – This rack includes a rear safety reflector to enhance the visibility, ensuring the night driving safety. 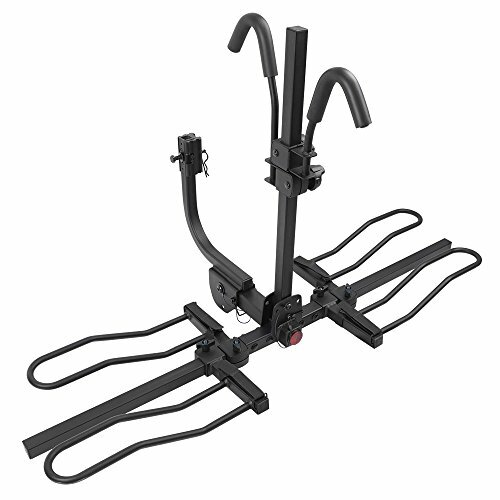 • Anti-wobble Design – This rack offers patented 2-way anti wobble system, eliminating the wobbling between the rack and hitch. • Tray-styled Loops and Padded Arms – Not only can firmly held your bike in place, the padded arms can protect your bike from scratching. 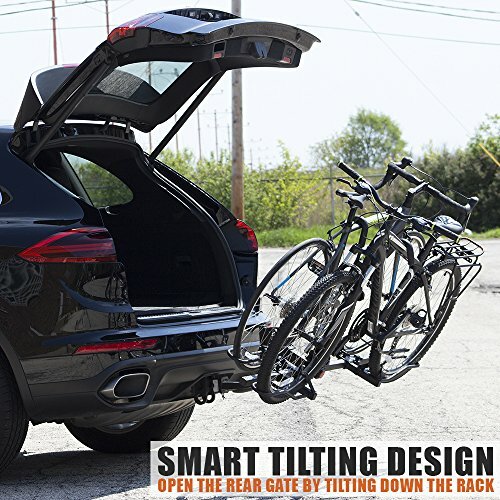 Tilt Back Design – The tilt backward design enables users to open the rear gates without detaching the hitch rack. 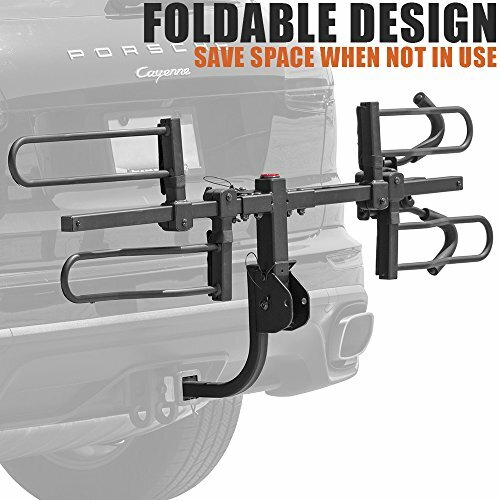 Fold Up Design – User can fold up the rack when not in use. Smart idea to save space! Safety Reflector – This rack includes a rear safety reflector to enhance the visibility, ensuring the night driving safety. 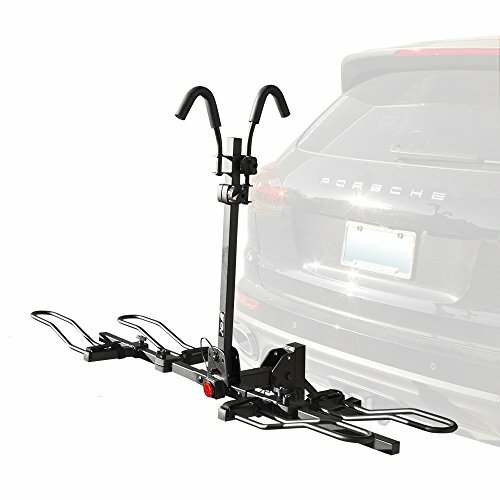 Anti-wobble Design – This rack offers patented 2-way anti wobble system, eliminating the wobbling between the rack and hitch. Tray-styled Loops and Padded Arms – Not only can firmly held your bike in place, the padded arms can protect your bike from scratching.